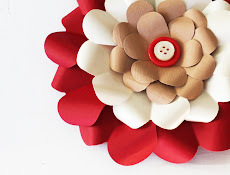 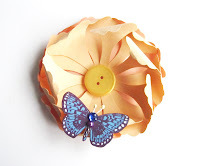 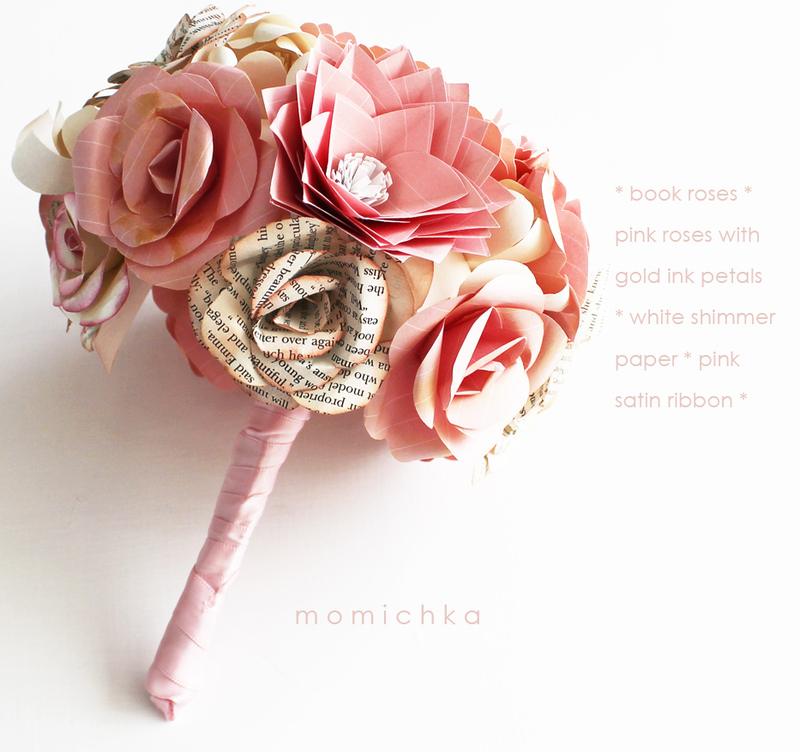 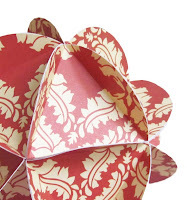 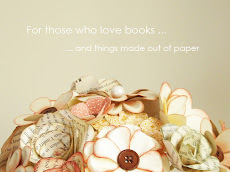 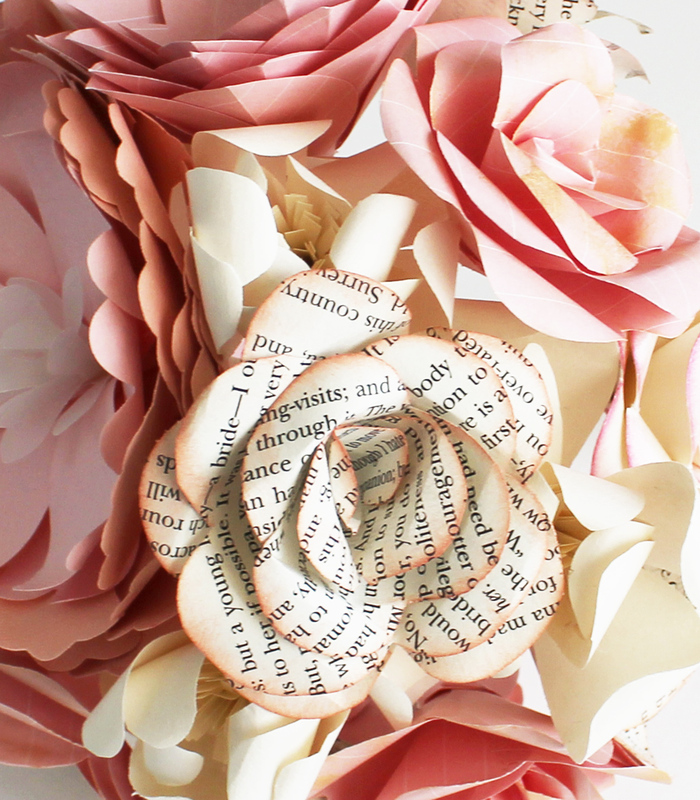 Book roses are one of my favorite paper flowers. 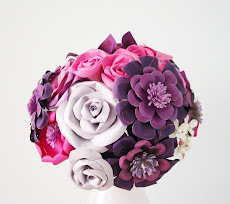 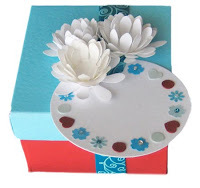 They give depth and meaning to bouquets and really stand out among solid colored flowers. 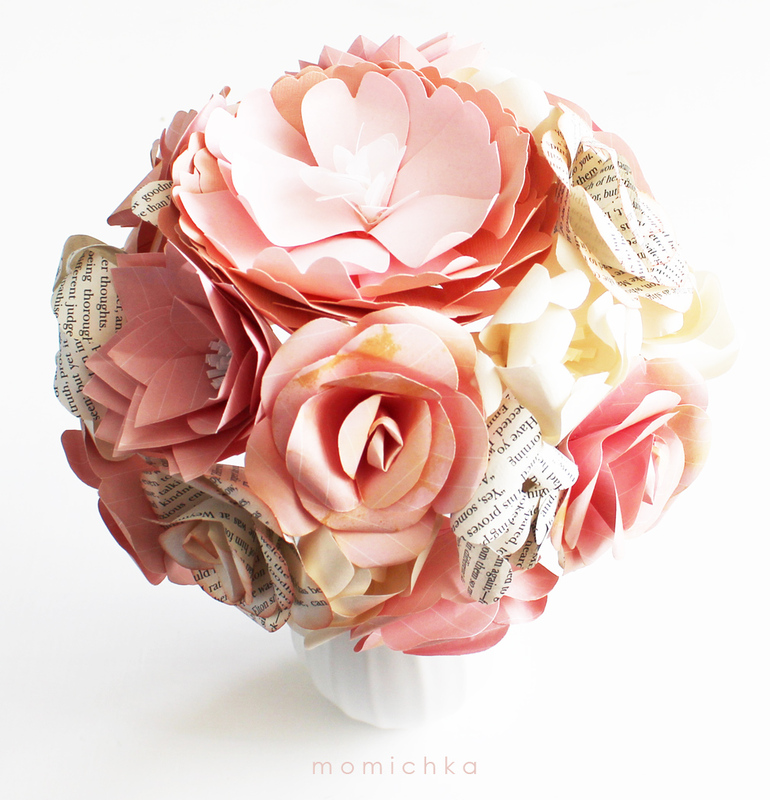 For example, see this pretty bouquet. 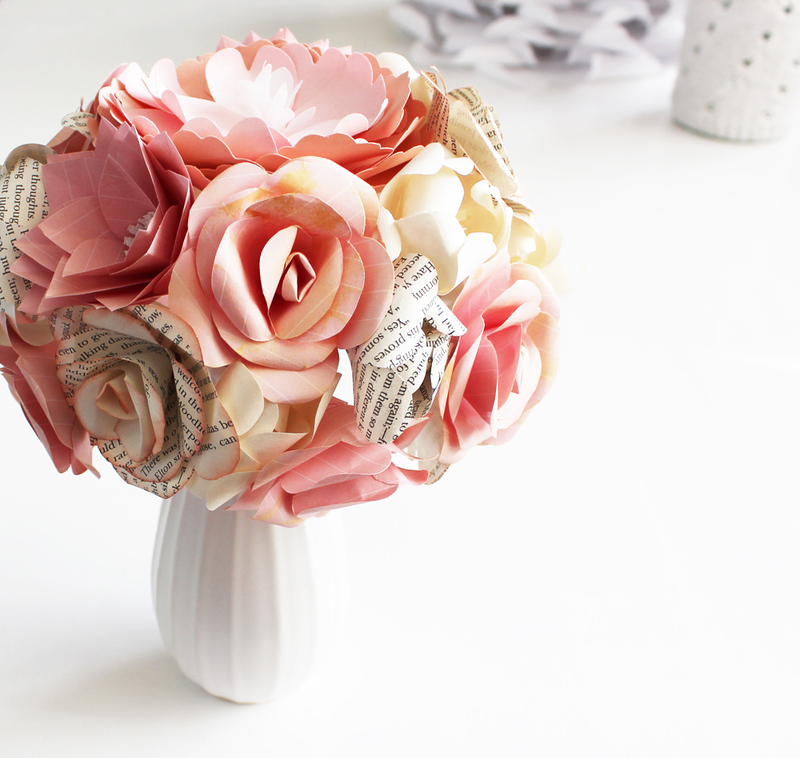 Its pinks and cream-colored peonies and roses are beautiful on their own, but when there are book roses in the mix, the bouquet perks up and becomes whole. 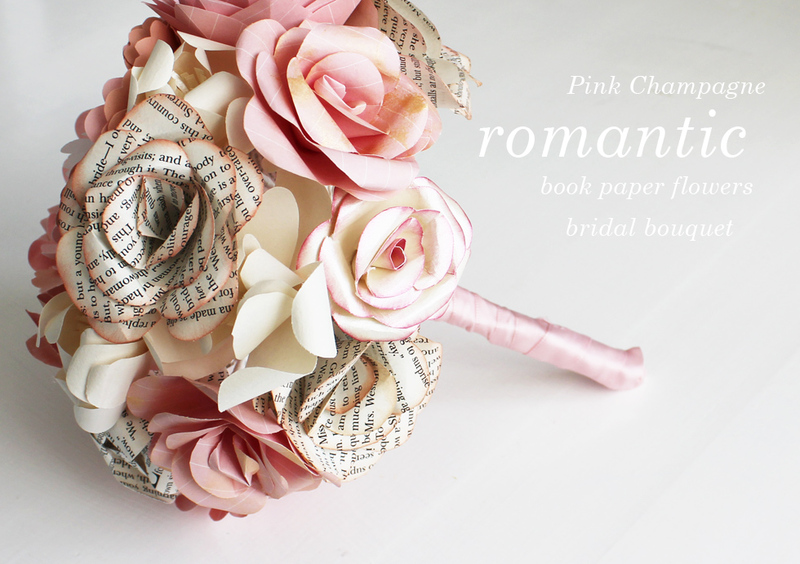 What could be more appropriate for a bride that embodies these qualities as well?